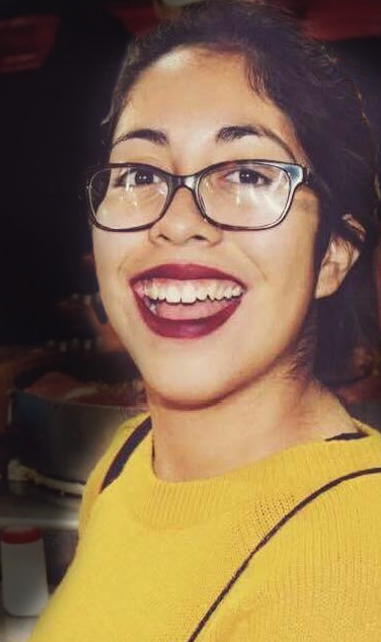 Vanessa Morales, from Santa Ana, California, is an Anthropology major at Haverford College with an expected graduation date of 2019. Her full schedule at Haverford includes serving as the Vice President of the Alliance for Latin American Students and the Customs Co-head of the Ambassadors of Multicultural Awareness program. Vanessa is also a Digital Scholarship Fellow, a Hurford Center Fellow, and a member of Womxn of Color and Bi-Co Women’s Rugby. Her immediate post-graduation plans include spending a year in Mexico City or Tijuana to continue her work with immigrant and refugee communities. After that, she plans to attend graduate school either in the U.S. or abroad to earn a Master’s degree in Chicana/o Studies or Latina/o Studies. “I come from Santa Ana, a city with a population comprised of more than 70% Latino identifying. This city is the heart of Orange County, a predominantly white county. Santa Ana, as a city, is fighting gentrification and ICE — issues that are closely intertwined. Immigration appears to an issue that our mayor, Miguel Pulido, and councilman, Jose Solorio, would rather ignore than address. The rhetoric and language of immigration, as well as immigration laws and policies, need to be addressed at the local, state, and national level.